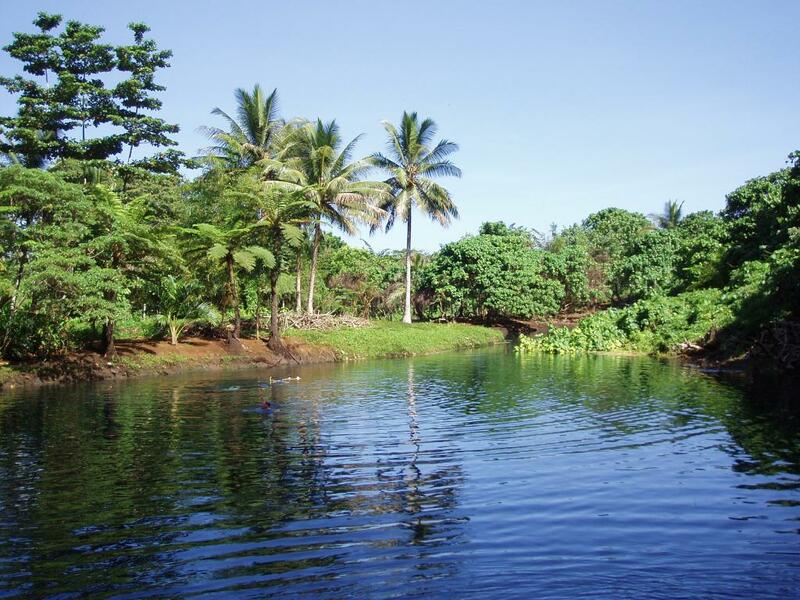 The Northern Seaside & Blue Hole Tour departs daily from the main hotels and resorts in Santo by mini bus that takes you for a guided tour to the north eastern coast of Espirito Santo. 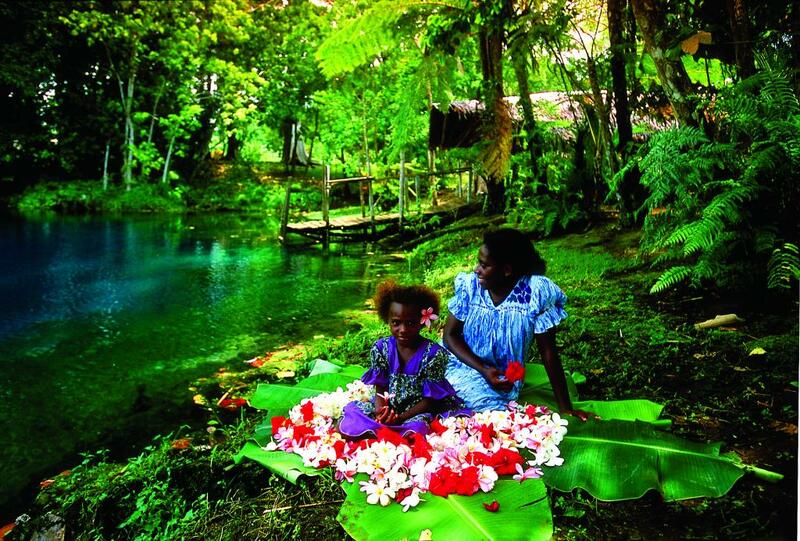 Along the tour you will visit Blue Holes that are vibrant in colour plus secluded white sandy beaches. 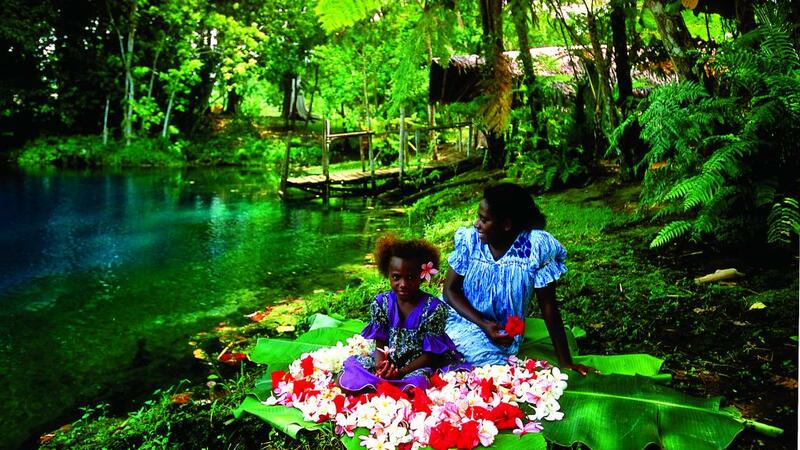 The 30 minute bus ride begins through coconut plantations and traditional villages before arriving at the first stop, the Blue Hole. Here there is time to swim in the crystal clear blue water. 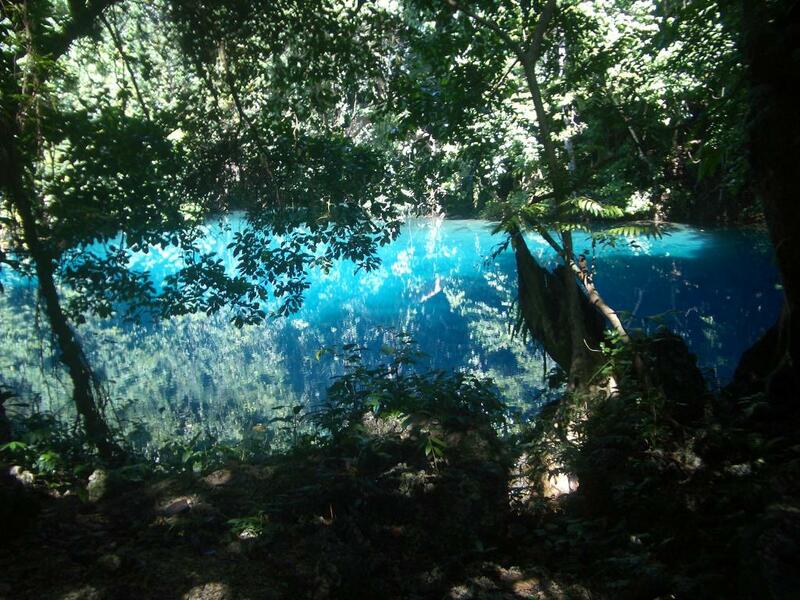 The Blue Hole is amazing at approximately 50 metres wide and 18 metres deep. From the Blue Hole the bus trip continues to Port Orly where there are amazing coral formations and is a great place for snorkellers to enjoy (please bring your own snorkelling gear). On the way back to your accommodation the bus travellers through the dense jungle. 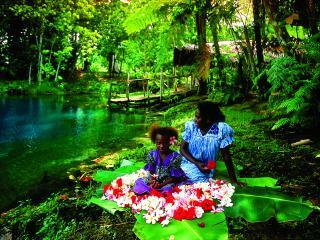 This Vanuatu tour is a great day out as a single, couple or family to explore the Blue Holes and Beaches.